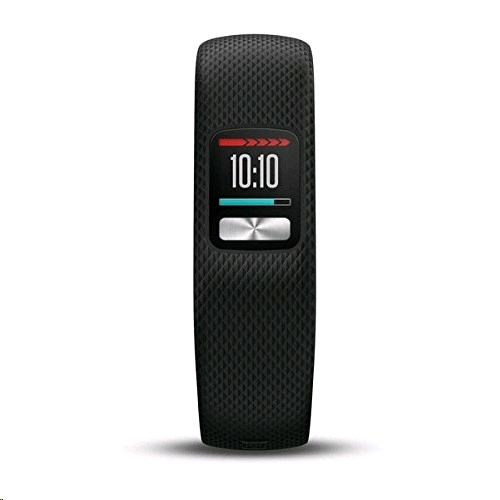 Keep tabs on your activity levels all day, every day with the black Vivofit 4 from Garmin. 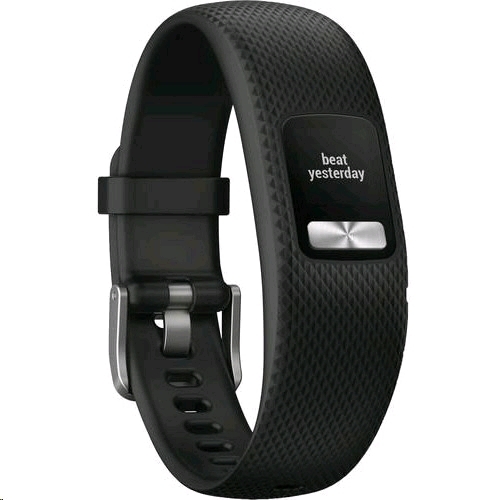 This wearable fitness tracker counts steps, distance traveled, calories burned, and even provides a personalized daily step goal based on your progress. In addition to activity tracking, the Vivofit 4 provides feedback on your sleeping habits, so you can monitor how much rest you're getting. Your data is displayed on the Vivofit 4's always-on sunlight readable color display, so you'll always know how you're doing. The Vivofit 4 features both Bluetooth and ANT+ connectivity for syncing with both Android and iOS devices. It's safe for both swimming and showering, so there's no need to take it off in the pool or when you bathe. Additionally, the Vivofit 4 features a battery life of more than a year, so you don't have to worry about recharging it. The Vivofit 4 is designed to fit wrists 4.8 to 7.4 inches around. Thanks to its powerful battery life, the Vivofit 4 can track your progress 24/7 for an entire year. The vivofit 4 features several new tools, including the weather widget, an alarm app, a countdown timer, and more. There's even a phone-finder feature for when you misplace your mobile device. The Vivofit 4 uses Move IQ to automatically capture and classify different activities, such as walking, running, biking, swimming, and using an elliptical. The Vivofit 4 keeps tabs on your daily performance then assigns an attainable daily step goal based on your activity level. As you meet your milestones, your Vivofit 4 will adjust your goal for the next day, gradually nudging you toward a healthier lifestyle. 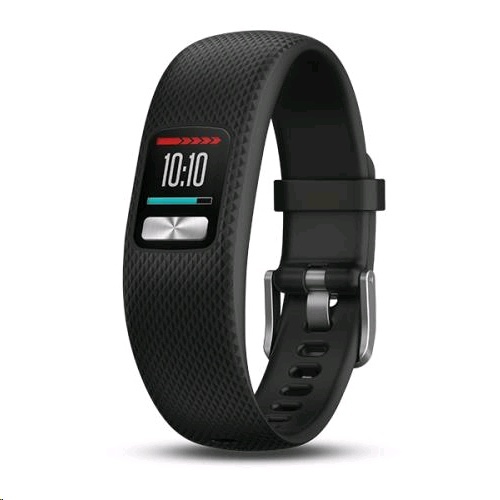 All your activity data can be reviewed at Garmin Connect, Garmin's free online fitness community. Check your results, share data with friends, compete in various activity challenges, and much more. Use the Toe-to-Toe feature to challenge your kids to a step competition. Your Vivofit 4 activity tracker can wirelessly connect to your child's Vivofit jr. 2 or Vivofit 4 to kick off a step competition.